Although it may not feel like winter, there is still enough of a chill in the air that most folks are staying indoors, especially for family time. 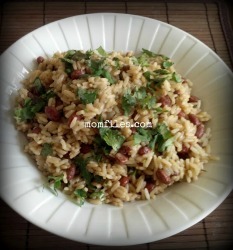 At our house we have been enjoying more comforting meals with plenty of Coca-Cola and watching a lot of football, basketball and some of our favorite shows or movies together. Some days we just hang out and talk for hours. 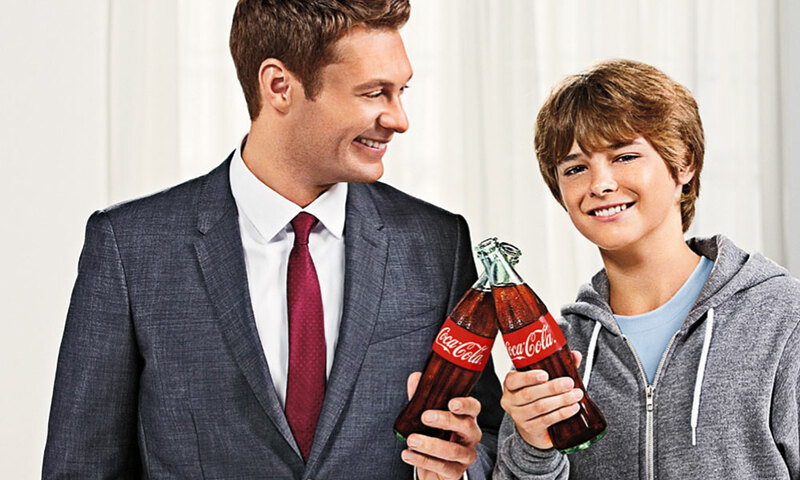 This winter, as a sponsor of American Idol, Coca-Cola is looking to spice up the colder months with the Coca-Cola Family Night initiative on MCR.com. At MCR.com/family, you can find exciting contests, instant wins, rewards, recipes and games—with many fun American Idol based activities for your family! 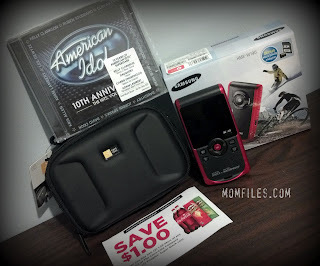 I was thrilled to receive this fantastic American Idol themed prize pack that came with (1) Handheld Camcorder (1) American Idol – The Hits Volume 1 CD (1) Coca-Cola and Pringles coupon. This prize is valued at over $100 and we LOVE it! The mini camcorder has some great features including a ruggedized exterior, 2.3" screen, full HD 30p (1920x1080), waterproof, shockproof and dustproof. It is VERY nice! The girls love the CD especially since they know and love all of the songs. We also will gladly enjoy getting $1 off Coca-Cola and Pringles. We are big snackers at our house! I am so excited that Coca-Cola is providing the same prize pack for one lucky Momfiles reader to win! Don't you want this prize?! Entering is easy, just follow the directions below and make sure you complete the mandatory entry method first. This giveaway is open to US Residents, ages 18+ only. It will end on February 24, 2012 at midnight. Please leave your email address if you do not have a Blogger profile. One winner will be chosen at random. 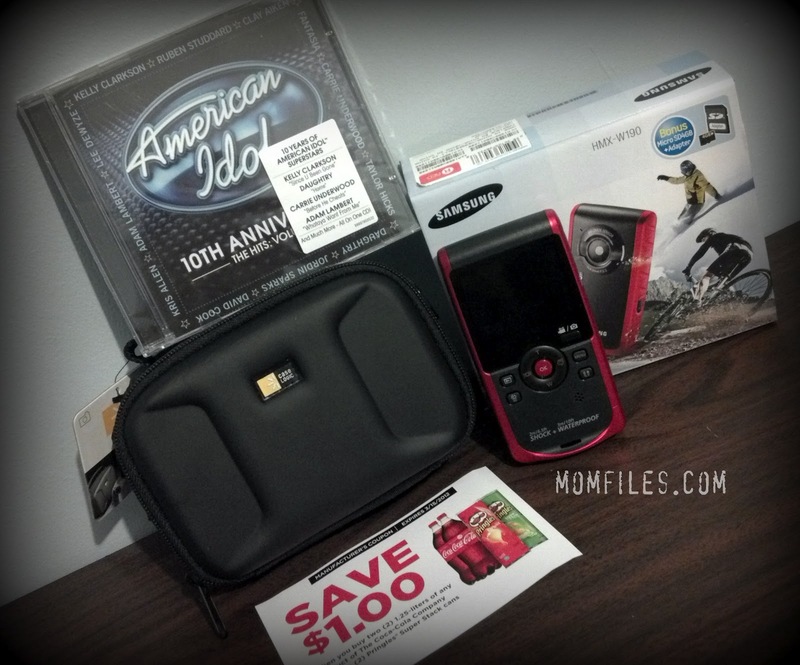 Momfiles is not responsible for any lost or stolen prizes. Good luck! The prize was provided by Coca-Cola, but Coca-Cola is not a sponsor, administrator, or involved in any other way with this giveaway. All opinions expressed in the post are my own and not those of Coca-Cola. My kids are older and when we spend an evening together it's usually over a grill-out on the patio. First and Foremost I just wanted to say that My Family Loves your Blog!!! Appreciate Your Honesty and awareness! The Wife is always talking about a post of yours! With a 6 and a almost 3 year old their is no better show than American Idol that the whole family can see! And as a Parent over 21 Their is nothing better than ice cold Coca Cola mixed in some cognac to relax ya!!!! Great Prize as always!!! WWS Sr. ""
We're planning on playing Dance Central together as a family! We love to play the Kinect on Family nights... and have a pizza party. We'll watch a movie on Netflix. family night for us is watching a movie together that the kids have chosen. Our family night is usually playing games together. Our current favorite is competing against eachother on Dance Central on Kinect, but we also enjoy sporting games like Wii Sports Resort and singing games such as American Idol Encore. My son wants to play Deal or No Deal on our next family game night! We love playing games. Probably taboo next time. we will be cuddled up on the couch watching a movie with a big bowl of popcorn! We're going to have a board game night. We will have a play cards night and let the little ones play! Lots of fun appetizers for all! We love to play Uno so playing cards and a pizza. Hoping to spend a family night playing Scene It. We haven't done that in a while. We are going to the circus next weekend as a family! can't wait!! We're an adult couple who enjoys watching movies together ヅ *Thanks* for the giveaway! Who doesn't love Coca Cola? It's so refreshing. We will be passing the day playing Xbox. My kids love dancing to Just Dance, we all have a blast seeing each other dance and the competition is even better!! On family night we either play a board game or watch a movie and eat popcorn. I plan to spend my next family night with a good movie and a board game like Cranium! We'll cook dinner together, sit down and eat together, then watch a DVD. 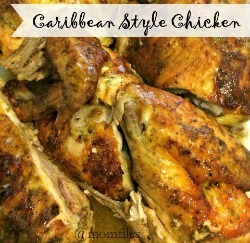 I plan to spend my next family night eating dinner then watching a movie. Movie and Popcorn with Hot Tamales mixed! We like to watch movies and cuddle in my Bed!